Steven R. Cohen MD, FACS is medical director and owner of FACES+ in La Jolla, California. 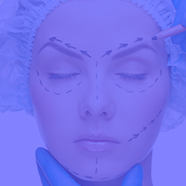 Dr. Cohen is a Clinical Professor of Plastic Surgery at the University of California, San Diego. Dr. Cohen is internationally known as a pioneer in Regenerative Medicine, Facial Aesthetics and Craniofacial Surgery. He has been a leading innovator in the modern facelift, having been one of the first surgeons in the world to combine larger volume fat and cell-enriched fat grafting for volume restoration. He has served on the editorial boards of Plastic Reconstructive Surgery, the Annals of Plastic Surgery and Aesthetic Plastic Surgery. In addition to his aesthetic practice, Dr. Cohen continues to perform craniofacial surgery, limiting his practice to intracranial procedures and complex bone surgery of the craniofacial skeleton and jaws. He is an inventor, businessperson and artist, whose works are in a number of private collections. What's hot in lipofilling for the face?